Make the most of your visit to Gainesville! Check out the Visit Gainesville website for exciting places to see and explore! See below for just a few of the wonderful sites in Gainesville! During your stay, visit the Florida Museum of Natural History, just minutes away from the Hilton University of Florida! 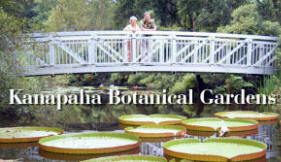 Explore the historic Kanapaha Botanical Gardens!